Christianity is a divided religion, composed of hundreds of denominations and schisms. Through the centuries, most of Christianity's branches have assimilated many non-biblical traditions into their teachings and practices, spawning even more variations. How can we account for the explosion of contradictory practices and conflicted factions in the world of Christianity? Is it possible to reconcile competing denominational groups with the standards and objectives Christ established for His Church? Can we know whether Christianity's bewildering variety of customs and teachings faithfully represent those of Jesus Christ? There are some major differences between the Christianity of the time of Christ and the apostles and that commonly practiced today. Shouldn't you look into your Bible to see if your beliefs and practices square with what Jesus Christ and the apostles practiced and taught? 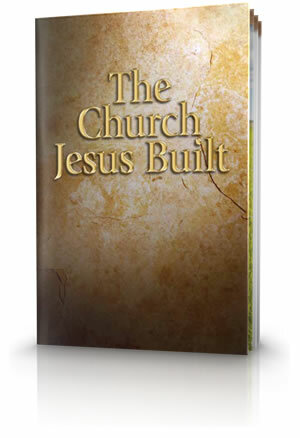 Jesus Christ said that He would build His Church and that it would never die out. 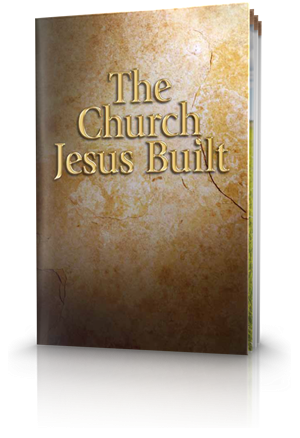 Is today's Christianity, with its hundreds of denominations with widely differing beliefs and practices, the Church Jesus promised that He would build? To most people, a church is a building where people meet. But in Scripture, the word refers to a group of people—those called to follow Jesus Christ. It's important that we understand the spiritual heritage of these people special to God. What does the scriptures say about the term church? How is the word church used in scripture and common speech? 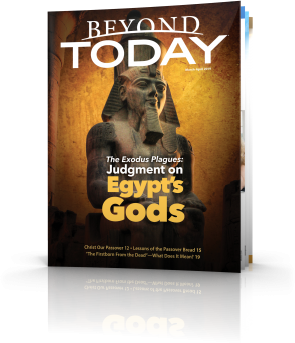 What does God's Word say about the relationship of the New Testament Church to the congregation of Israel in the Old Testament? Few realise that God's Word reveals that Satan the devil has deceived and blinded most of the world. Only through God's calling can that blindness be healed. How does that help us understand who is truly part of the Church? Jesus Christ gave His Church a specific responsibility and mission to fulfil in His plan. What does that entail? Jesus Christ preached the message of the gospel of the kingdom of God. What is that message about, and why is it such good news? Is Today the Only Day of Salvation? 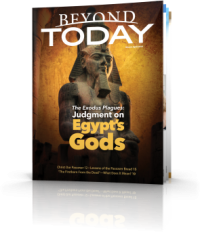 Is our present age the only time during which people can repent and be saved? Christ gave an ominous warning—that many would come in His name, teaching a different message that would deceive many. They would create a counterfeit of true Christianity, starting a religion that would largely supplant the true Church. Regard for God's law in mainstream Christianity has been remarkably inconsistent since the Protestant Reformation. In Revelation 2 and 3 Jesus Christ sends a different message to each of seven churches in the Roman province of Asia, part of modern Turkey. With so many churches teaching so many different things, how can one identify those who remain faithful to Christ's original teachings? With the world so heavily influenced by Satan and a counterfeit Christianity, how can one find the truth? Shouldn't you look into your Bible to see if your beliefs and practices square with what Jesus Christ and the apostles practiced and taught? The Father desires that all people ultimately become His children, and parent-child and sibling relationships on the human level were intended to portray this greater spiritual reality. But there is another family relationship that also pictures a greater spiritual reality—that of marriage. A closer look at the transformation of the apostles of Jesus Christ.